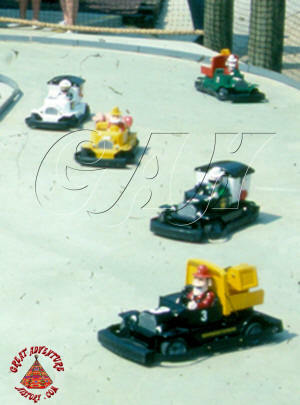 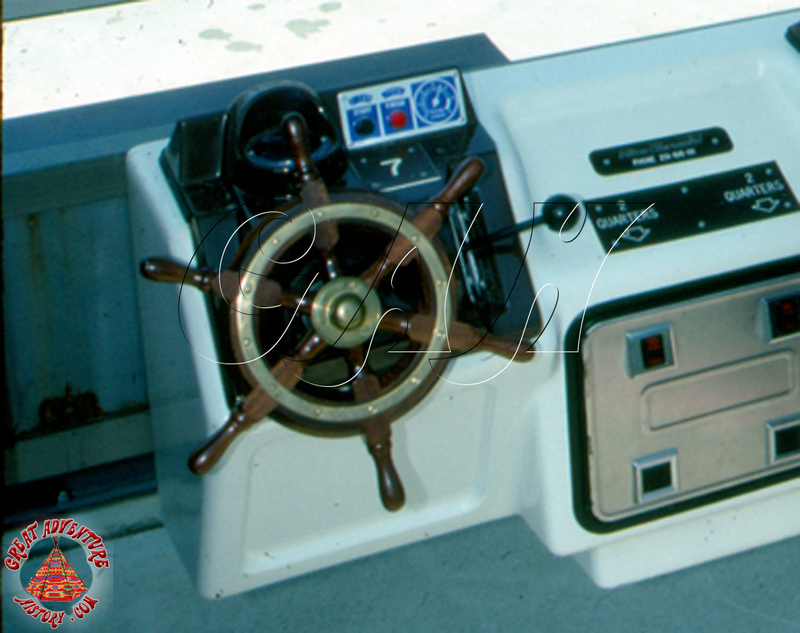 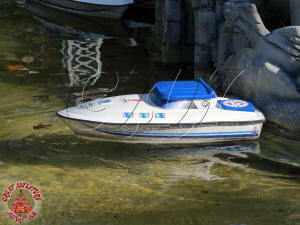 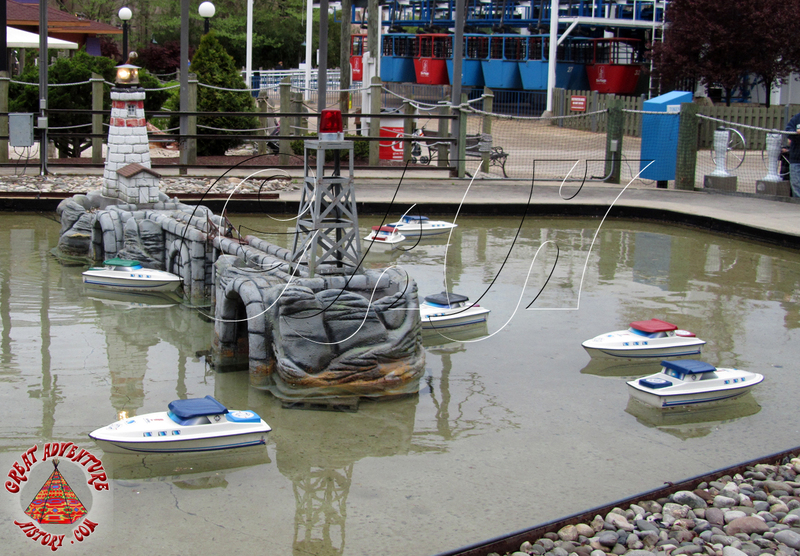 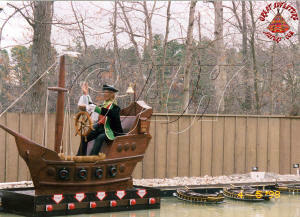 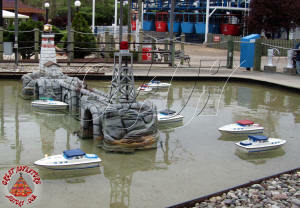 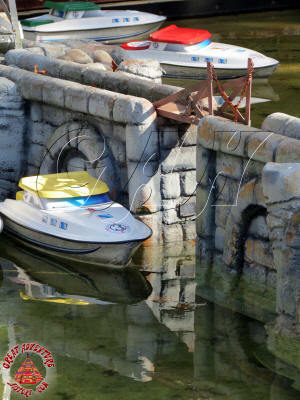 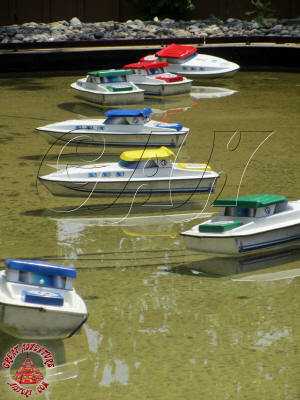 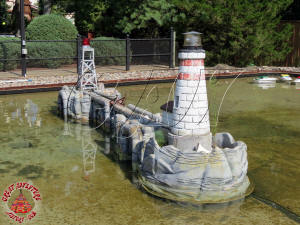 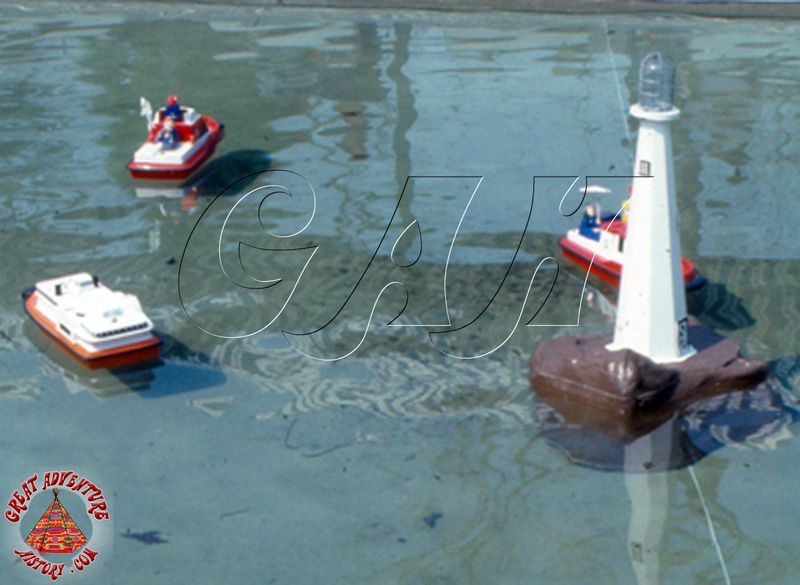 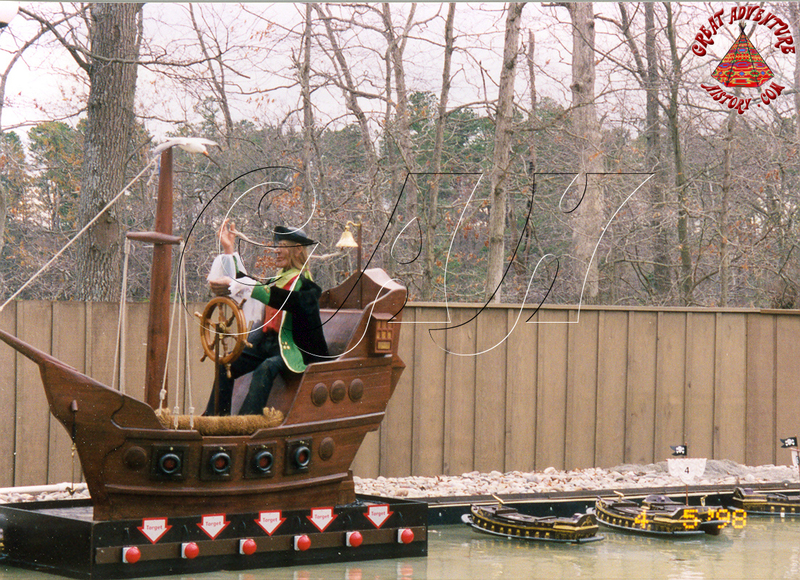 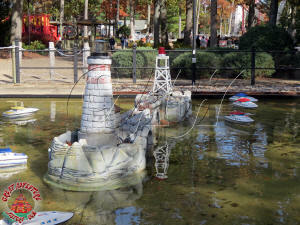 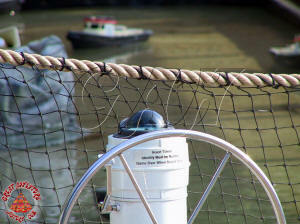 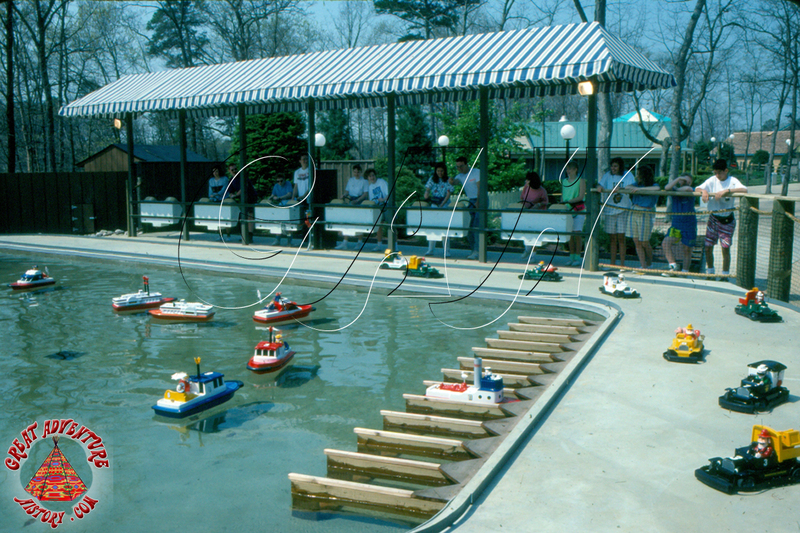 Remote control boats and cars have been a long time favorite diversion in theme parks, offering kids (and adults) the chance to drive their own miniature vehicles through sometimes intricate courses for a period of time using a coin operated control panel with a steering wheel and throttle. 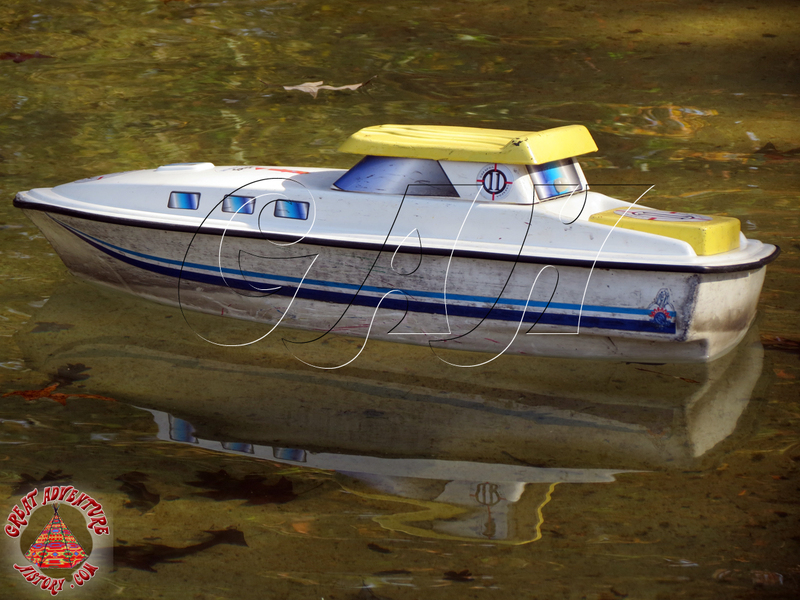 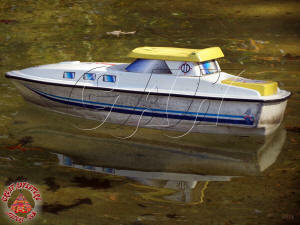 Remote control cars and boats have long been a part of Great Adventure. 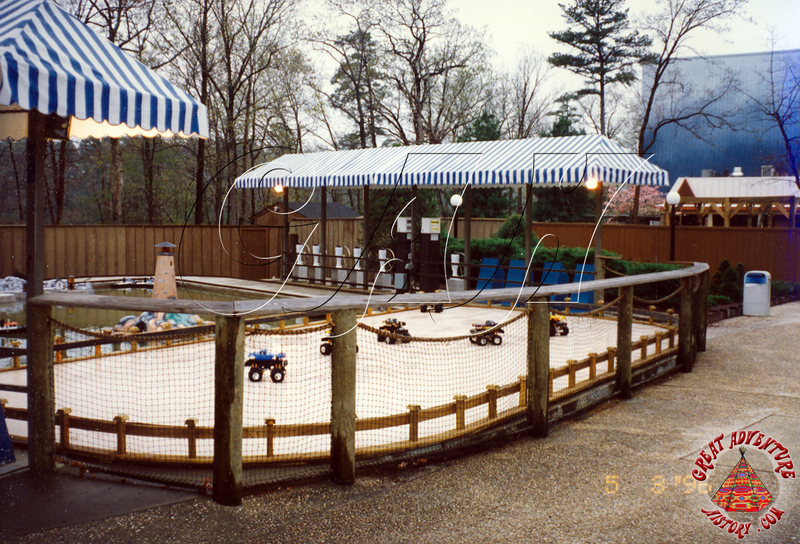 Remote control vehicles of all shapes and size have been installed in various locations throughout the park over the seasons. 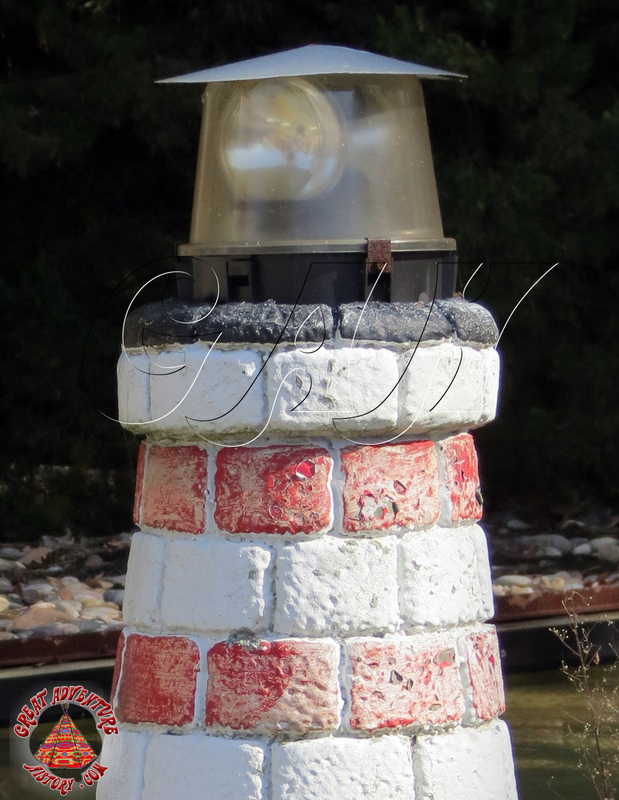 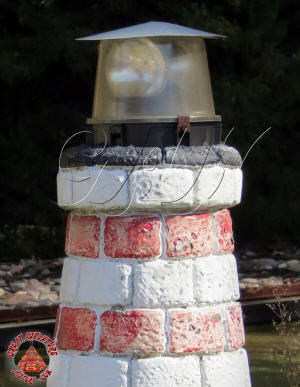 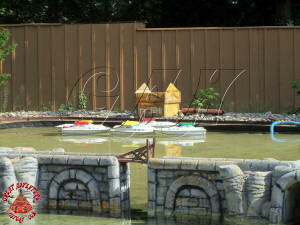 A set of remote control boats and another set of cars had been located on the former roadbed of the Great Train Ride along the path between the Hydro Flume and Roaring Rapids. 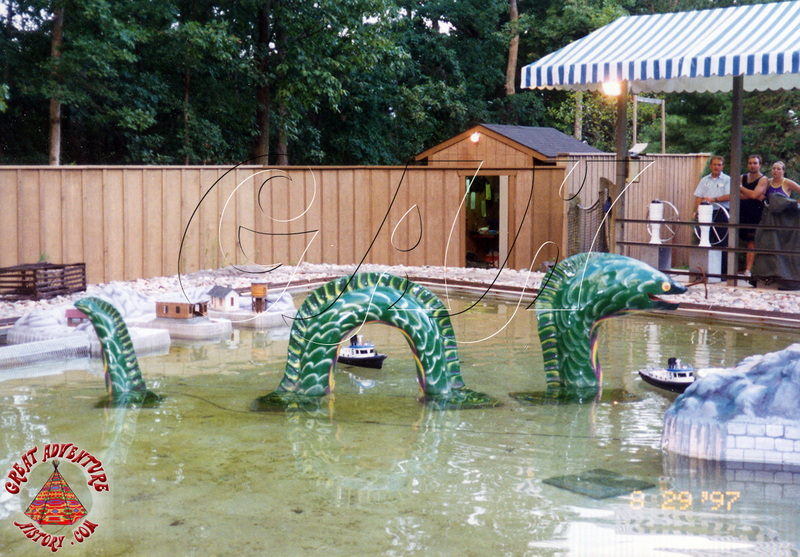 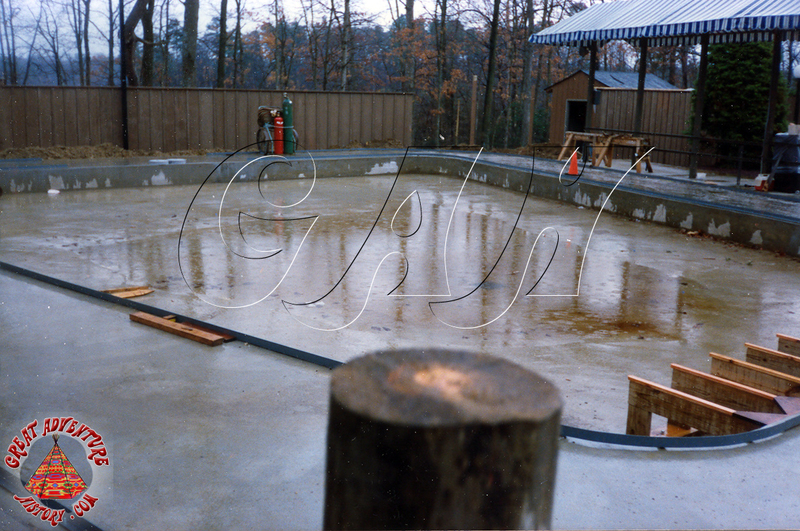 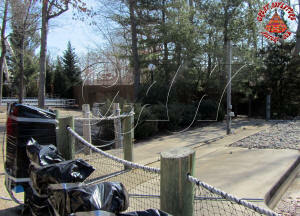 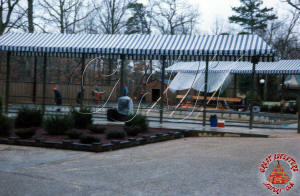 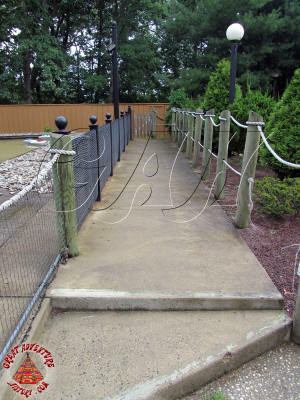 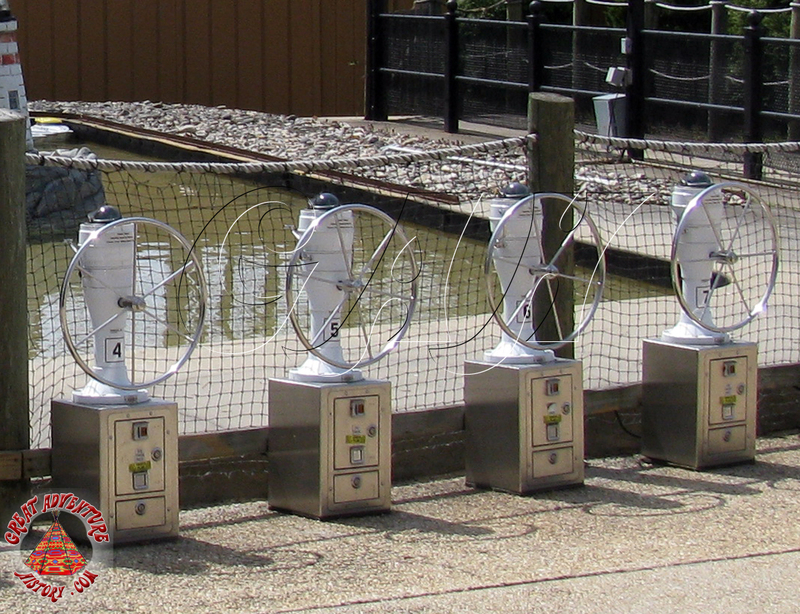 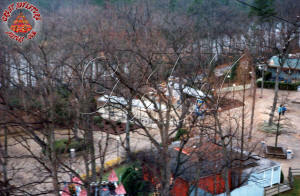 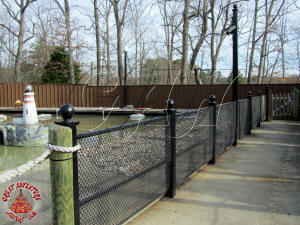 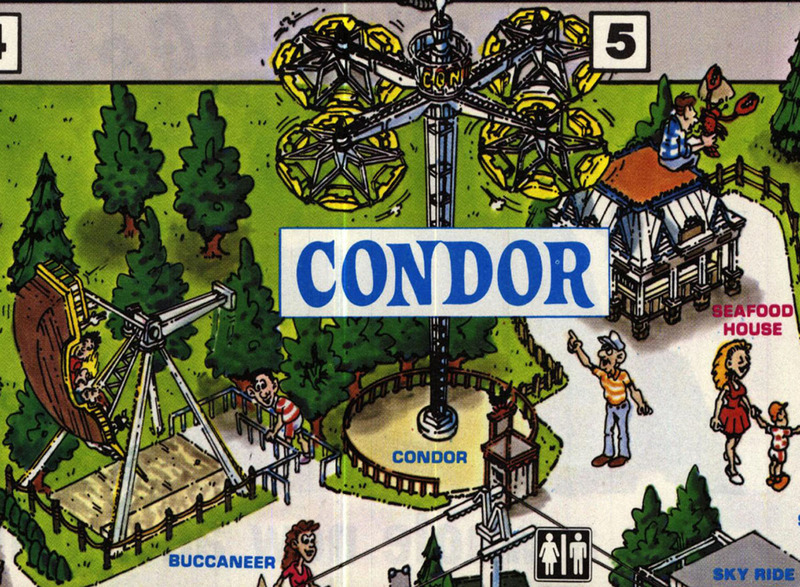 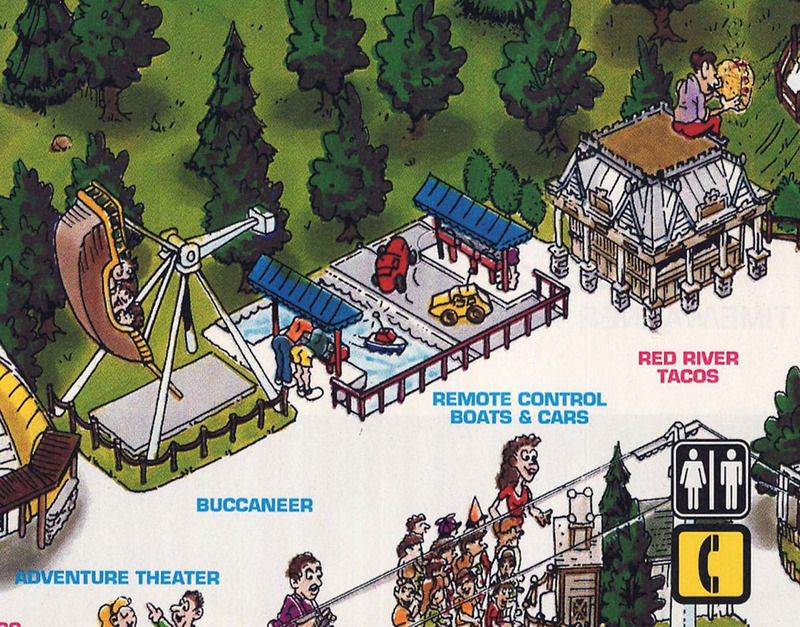 When the new Adventure Rivers area was built on that site for the 1991 season, the both remote control vehicles were relocated to the spot that had been home to the Condor ride. 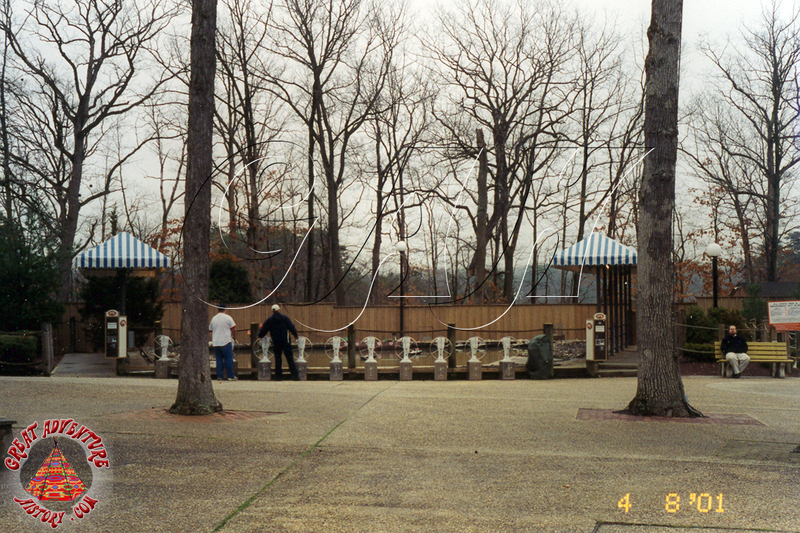 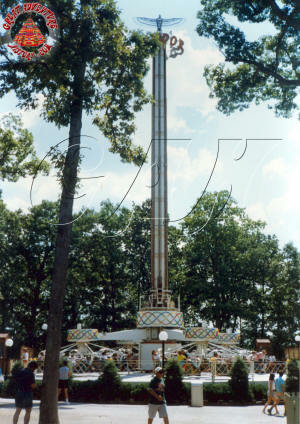 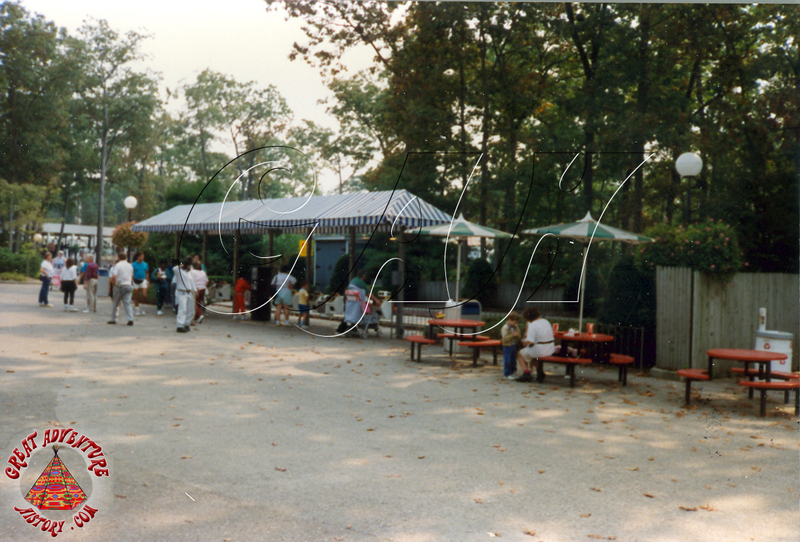 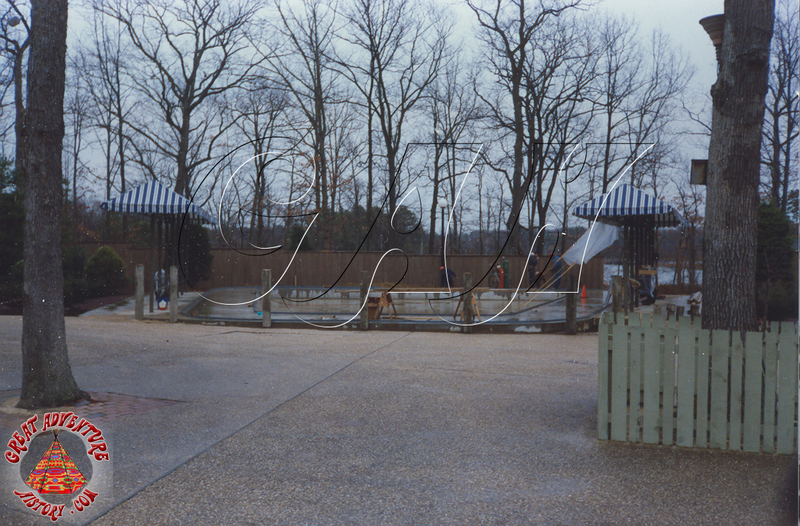 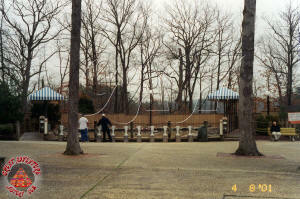 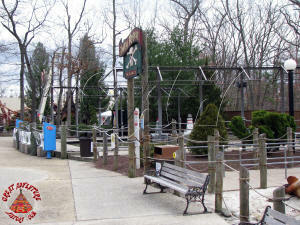 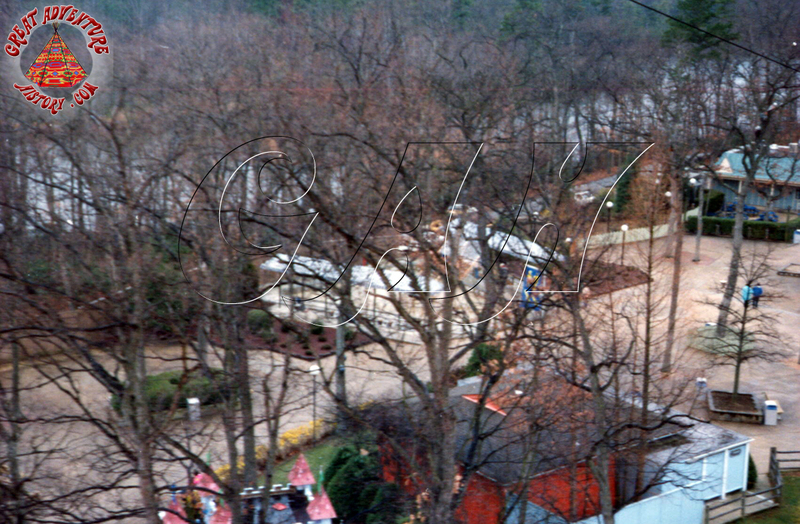 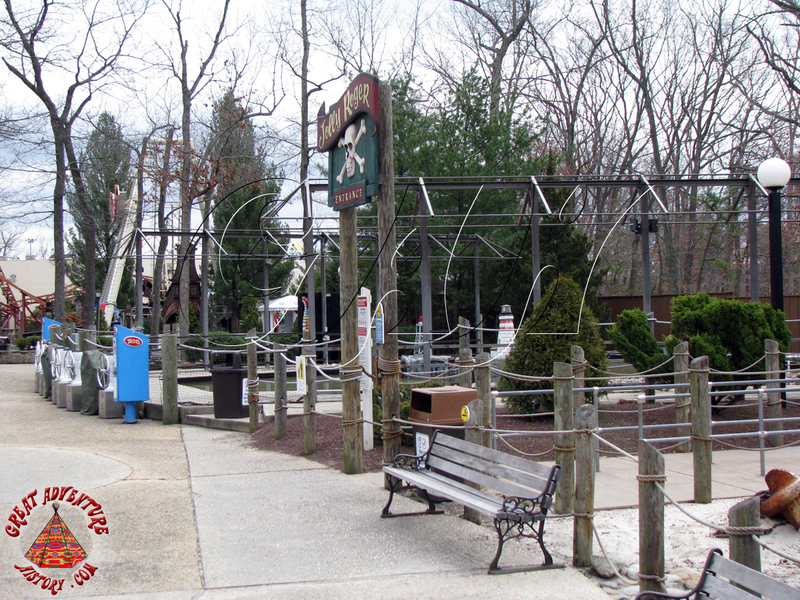 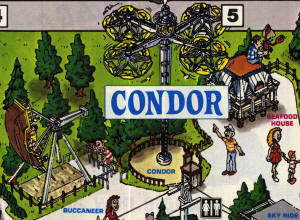 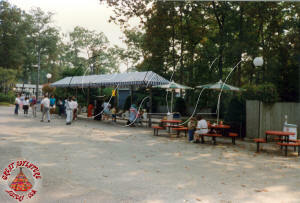 The Condor ride was removed at the end of the 1990 season and this area, located close to the new for 1991 Adventure Rivers section, meant that the entire region was being transformed. 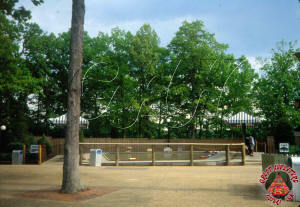 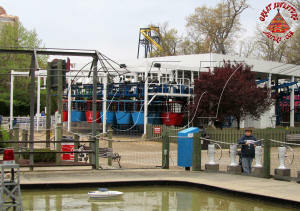 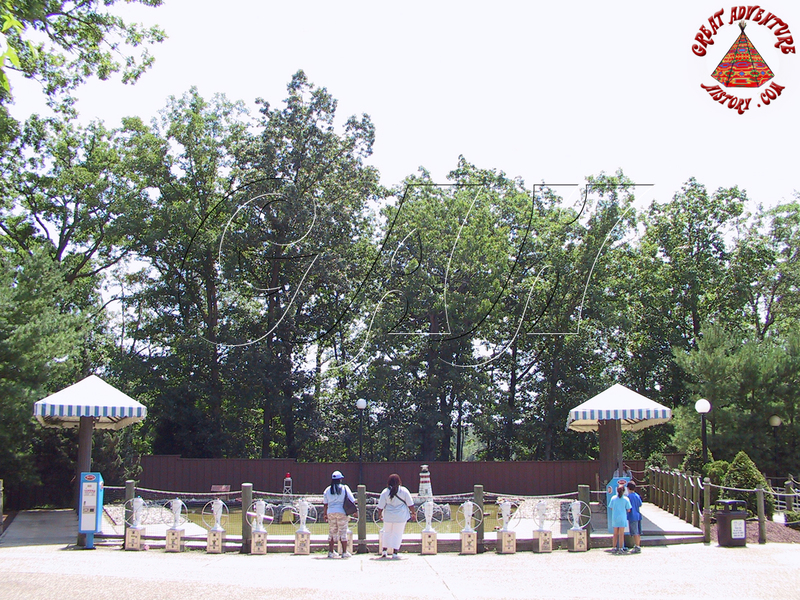 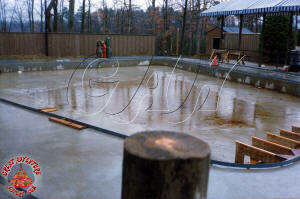 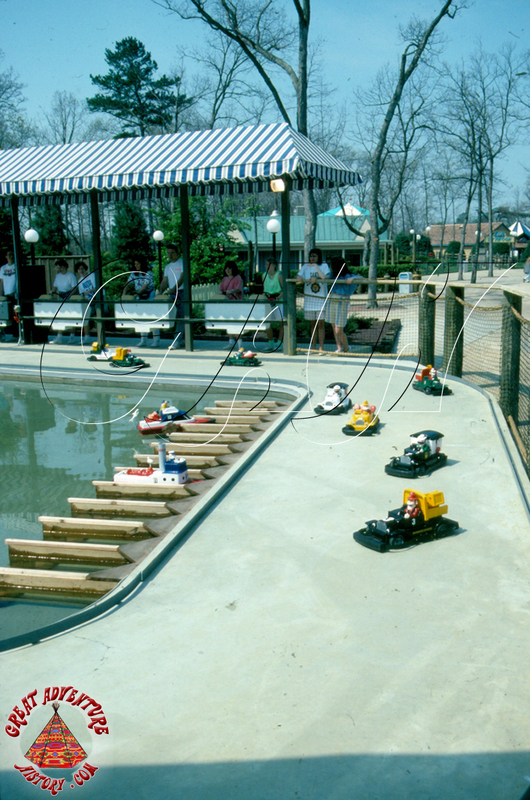 The former Condor ride pad was setup with a central pond surrounded by a concrete "race track". 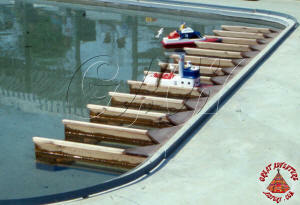 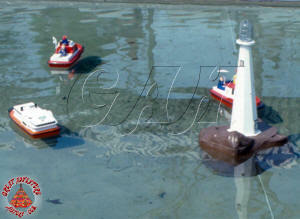 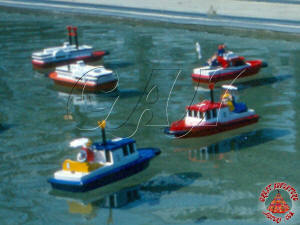 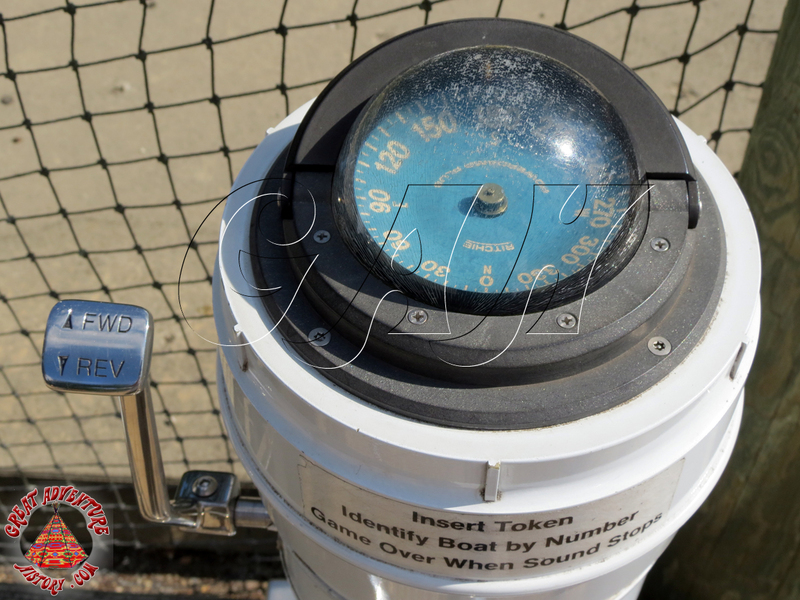 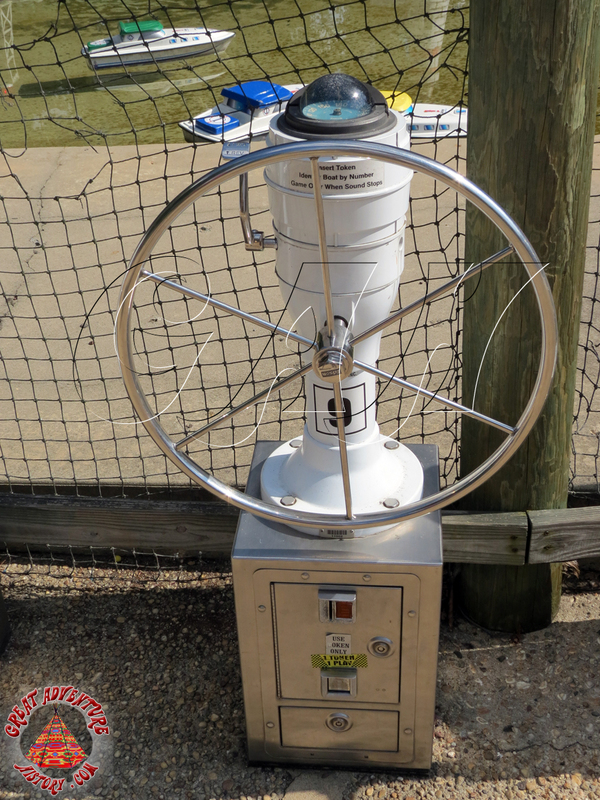 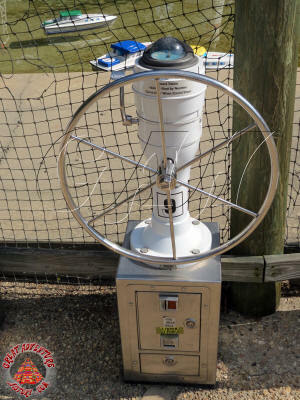 This would allow the remote control boats to navigate within a rectangular track for the remote control cars. 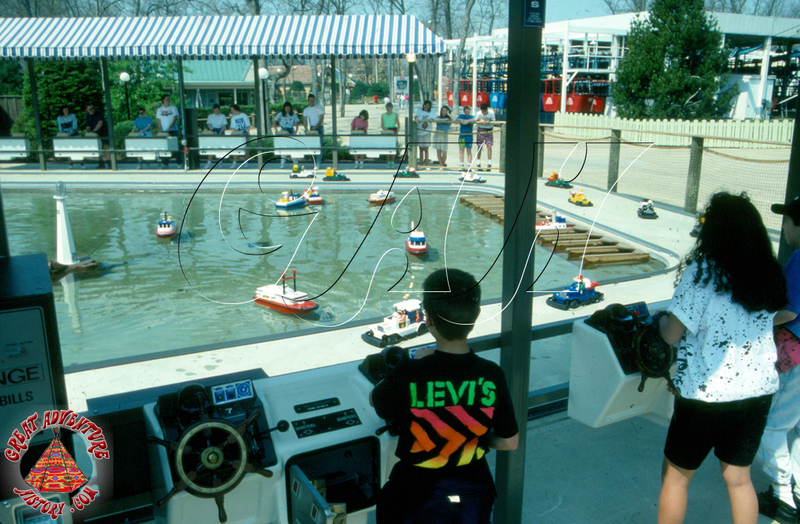 One side of the area featured a canopy set up with a bank of control panels for the boats and the other side had another set of controls for the cars. 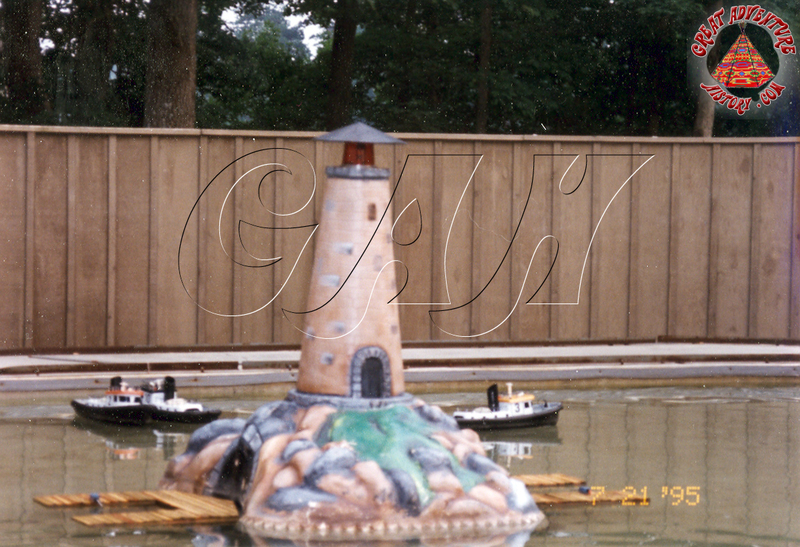 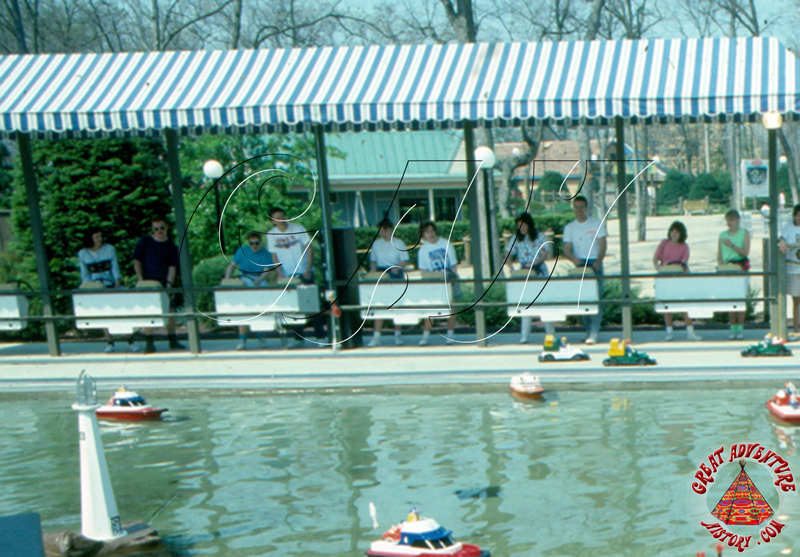 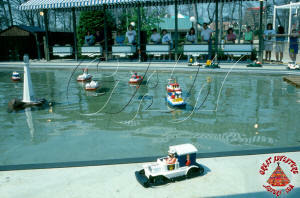 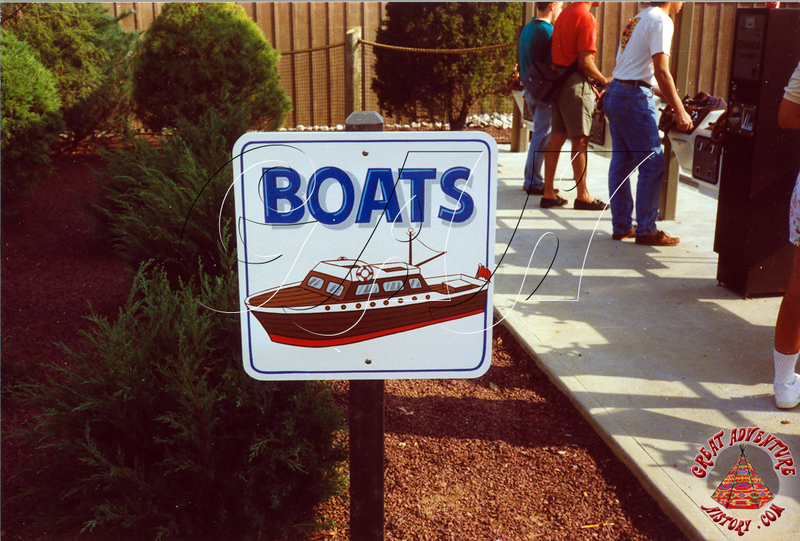 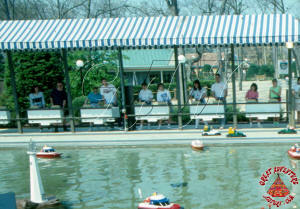 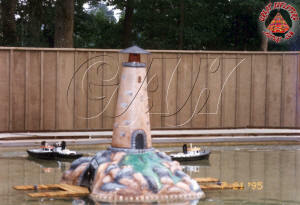 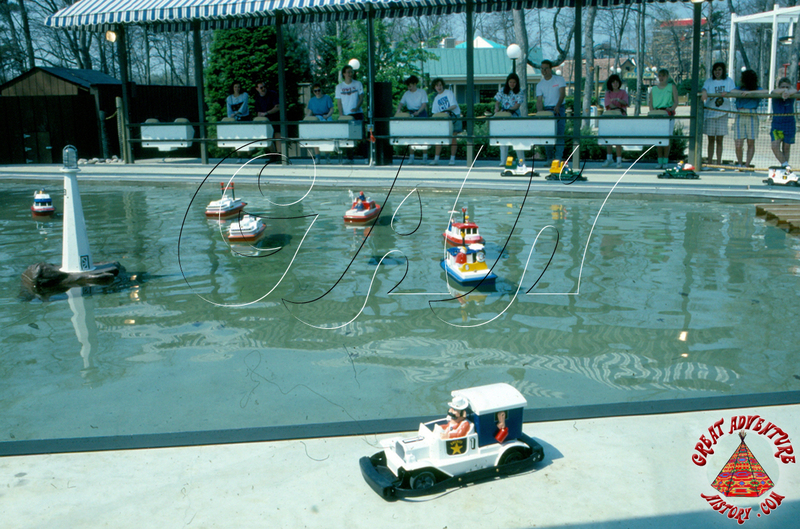 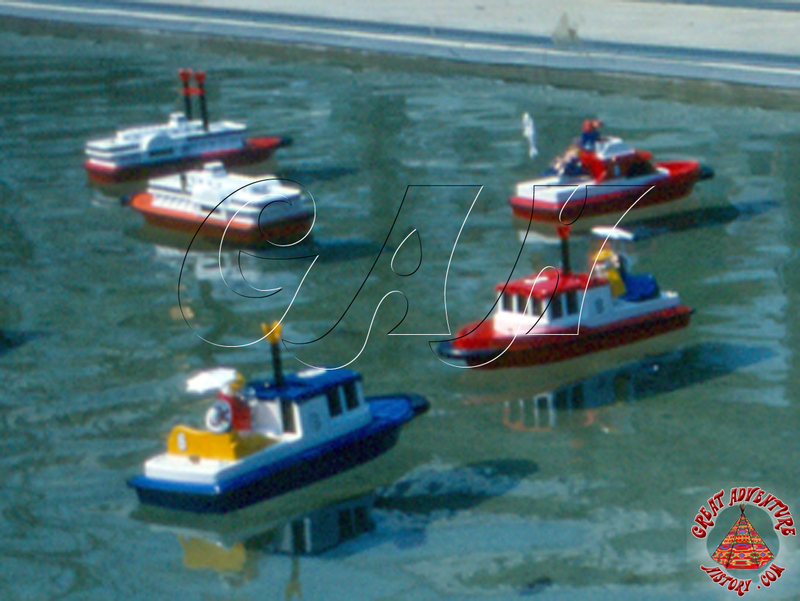 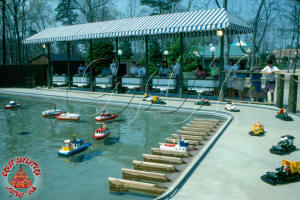 The colorful, coin operated cars and boats were a popular diversion between rides, enticing kids to spend some time (and money) testing their skills getting around the race course or piloting their boats around the lake and into and out of the boat slips. Over time, the decorative props were modified with new scenery being added or removed, sometimes offering more challenges such as vehicle-triggered light and sound effects. 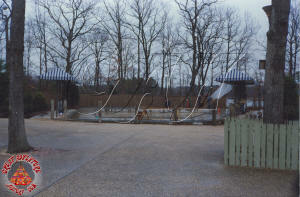 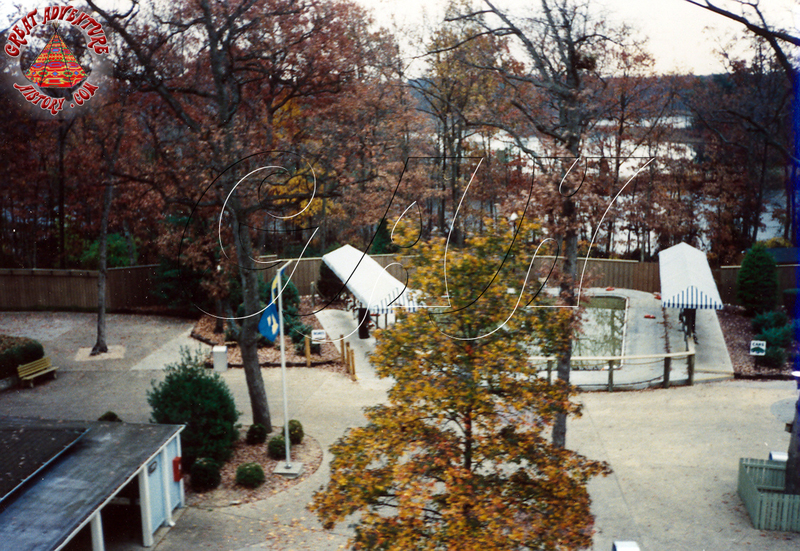 In 1996, the oval car track was abandoned and replaced with a large dunes area for some 4x4 driving action, located towards the front of the attraction. 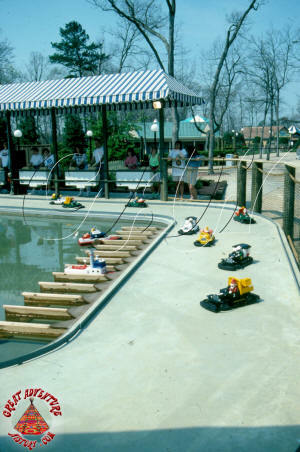 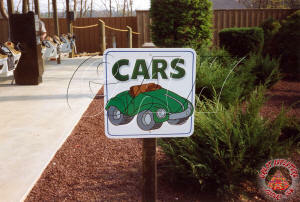 These Monster Truck style cars were transplanted from the remote control attraction once found at the exit of the ShockWave stand-up roller coaster. 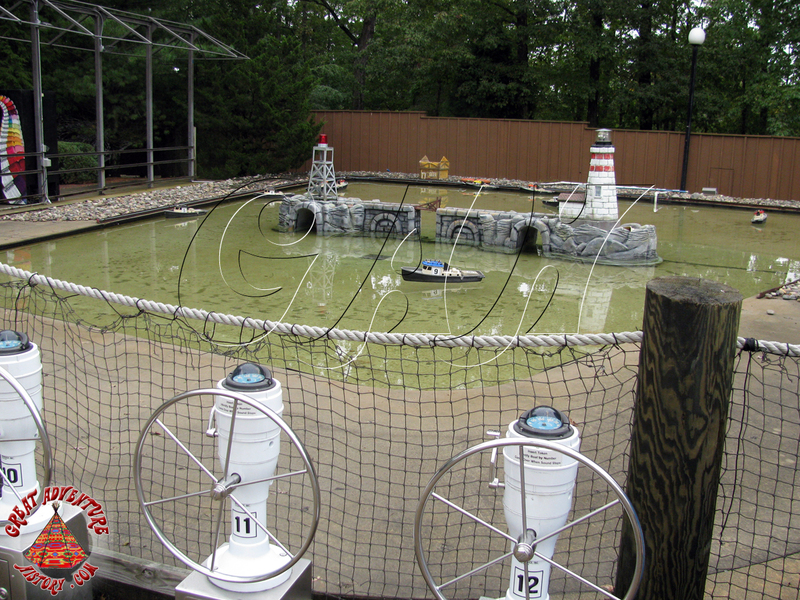 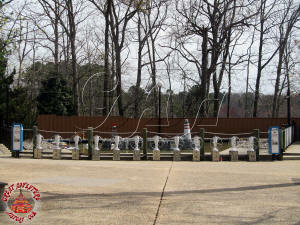 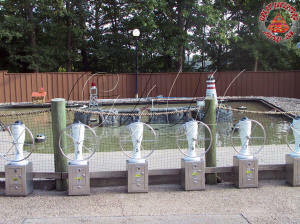 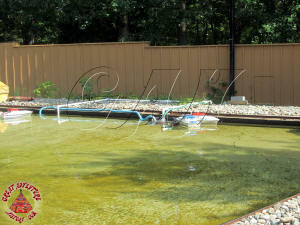 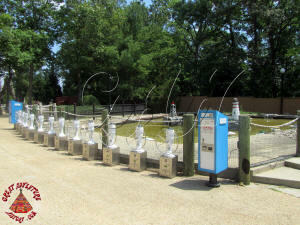 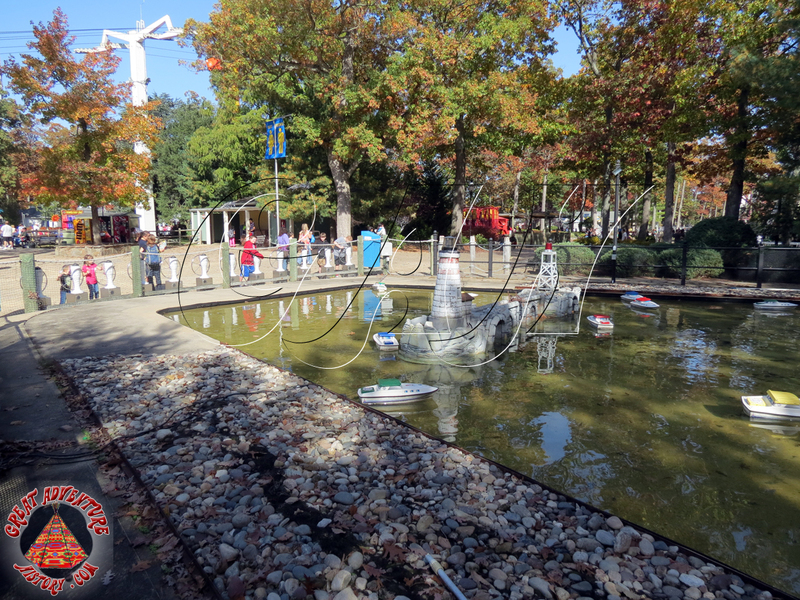 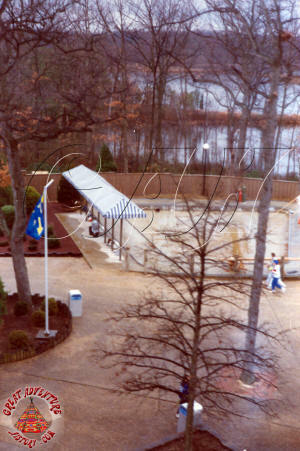 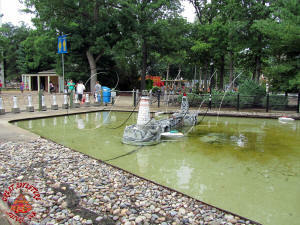 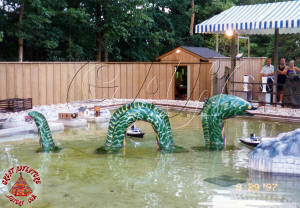 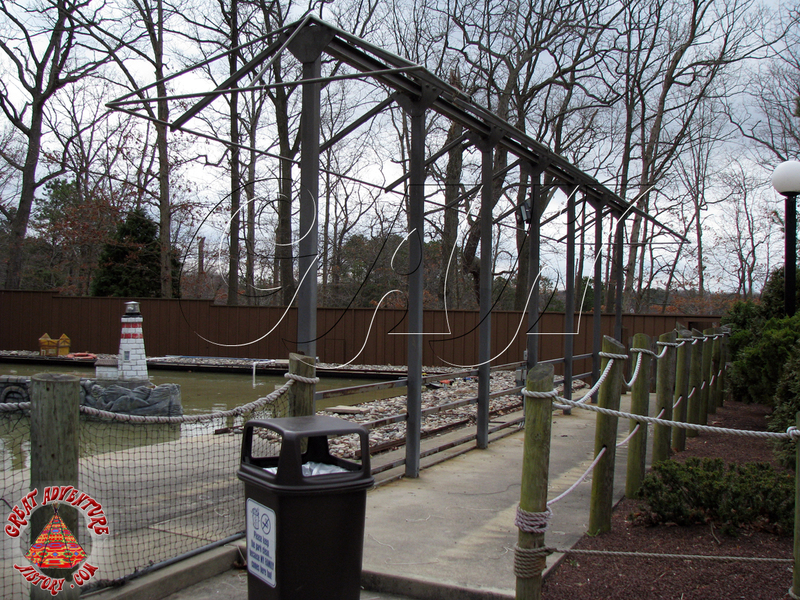 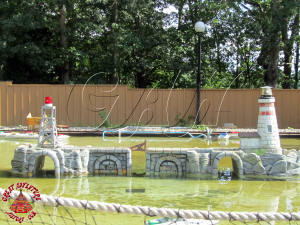 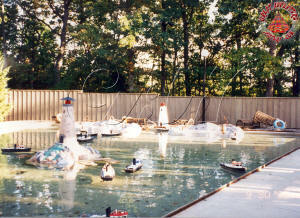 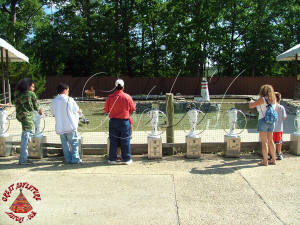 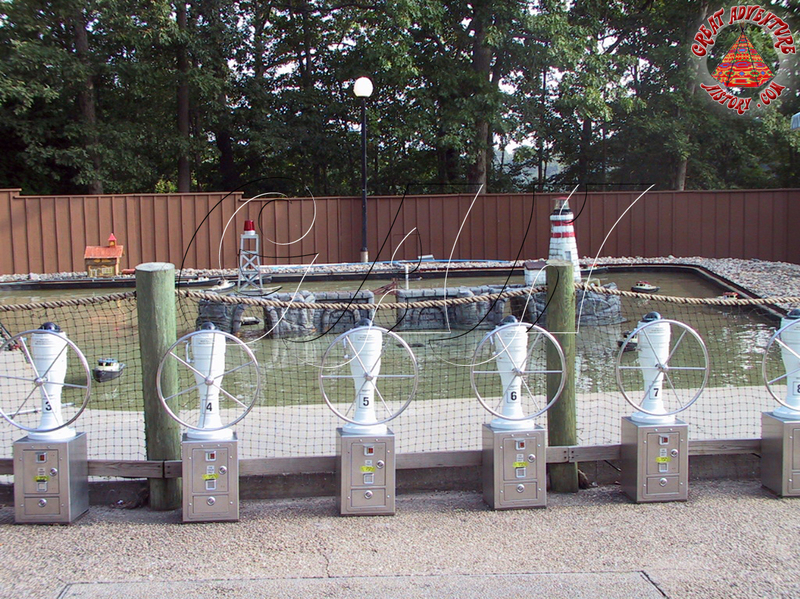 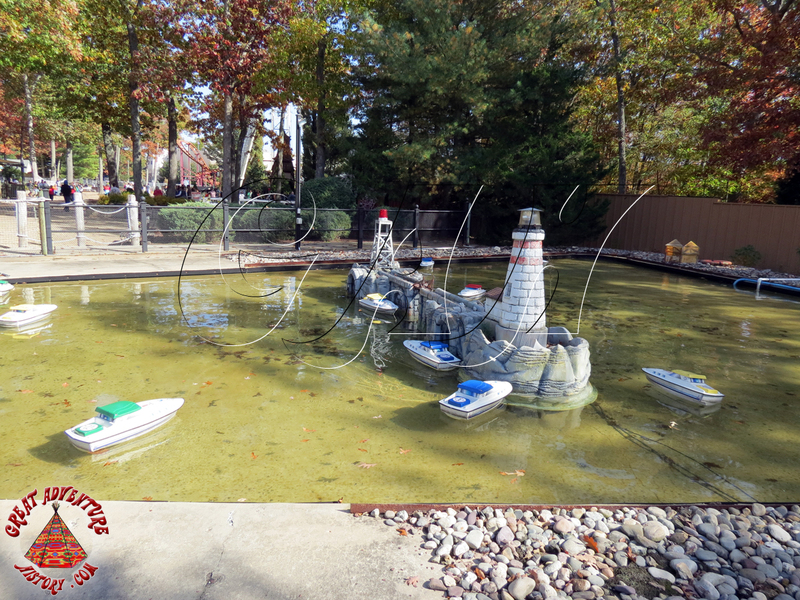 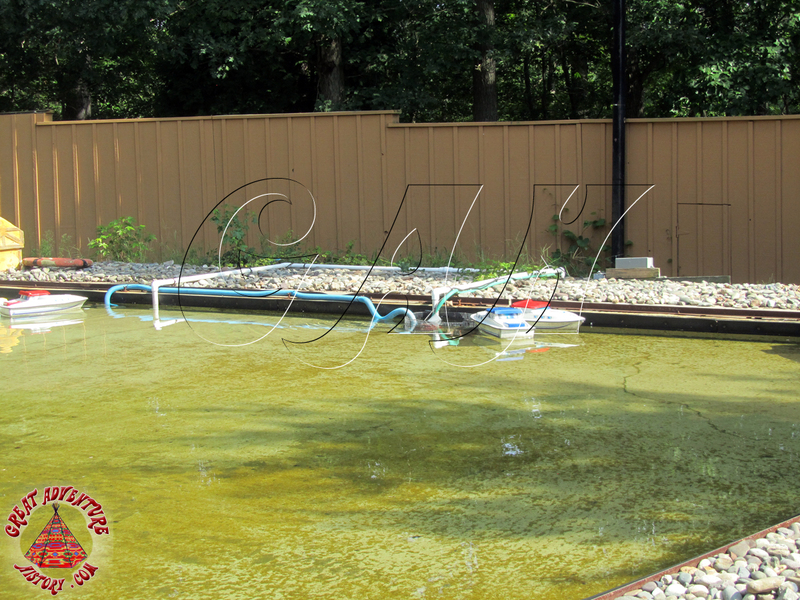 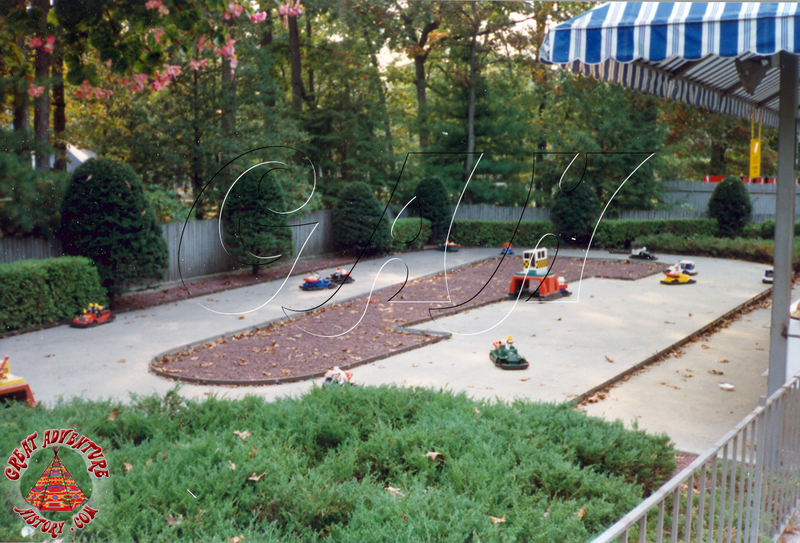 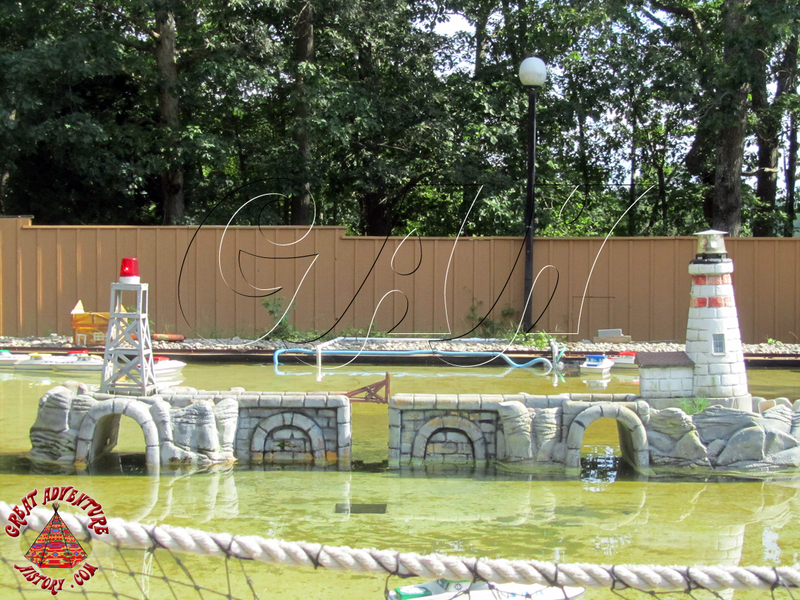 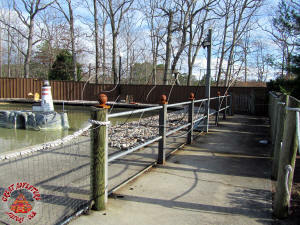 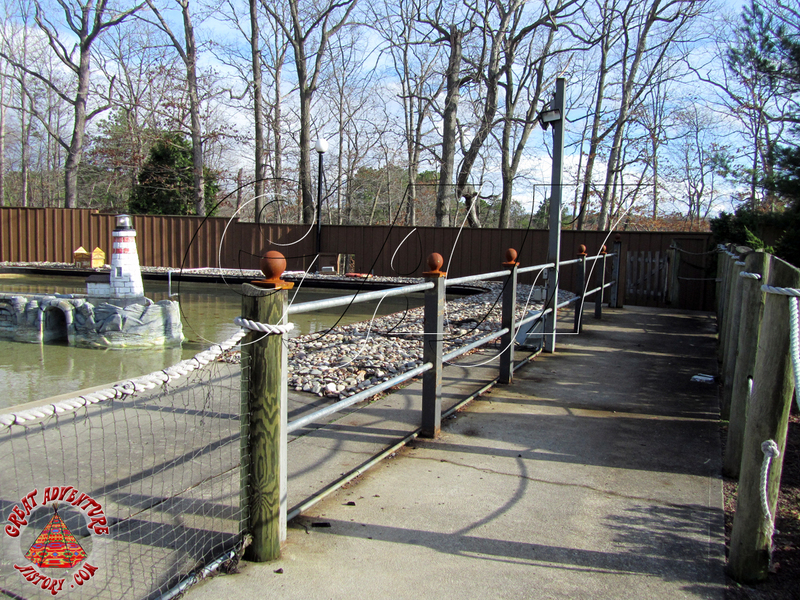 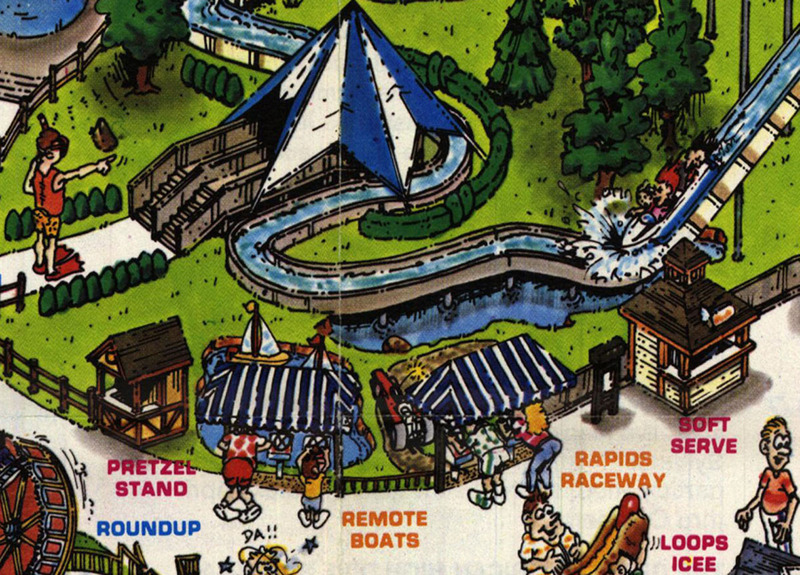 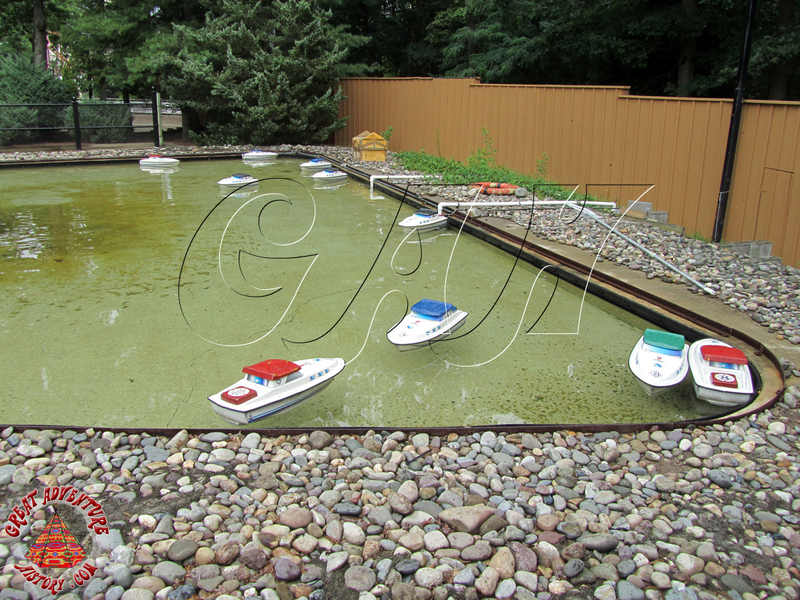 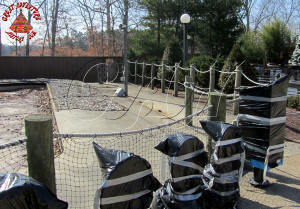 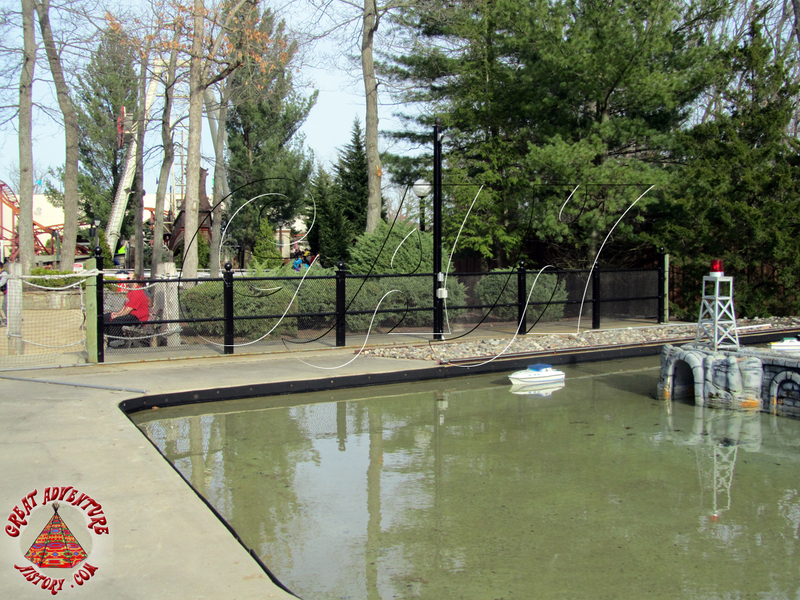 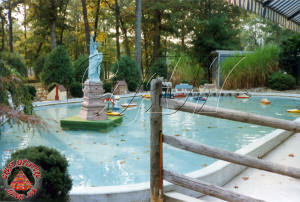 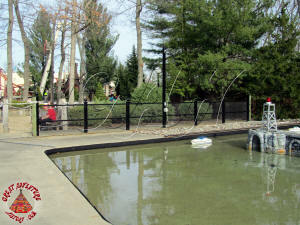 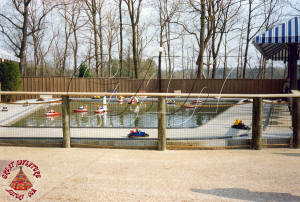 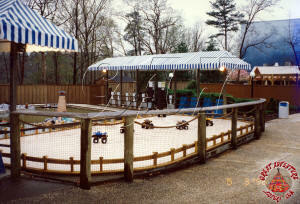 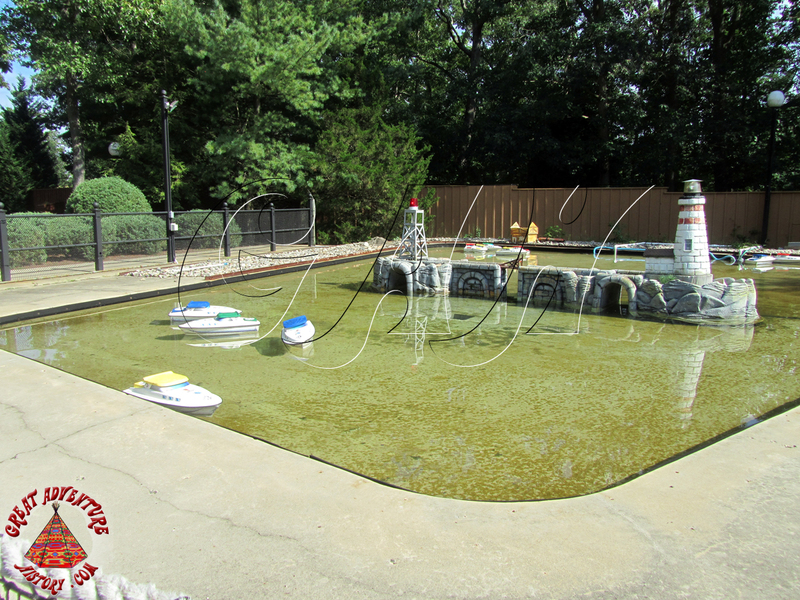 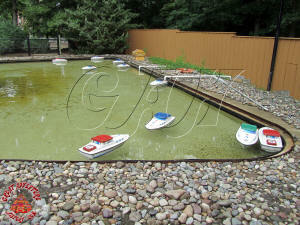 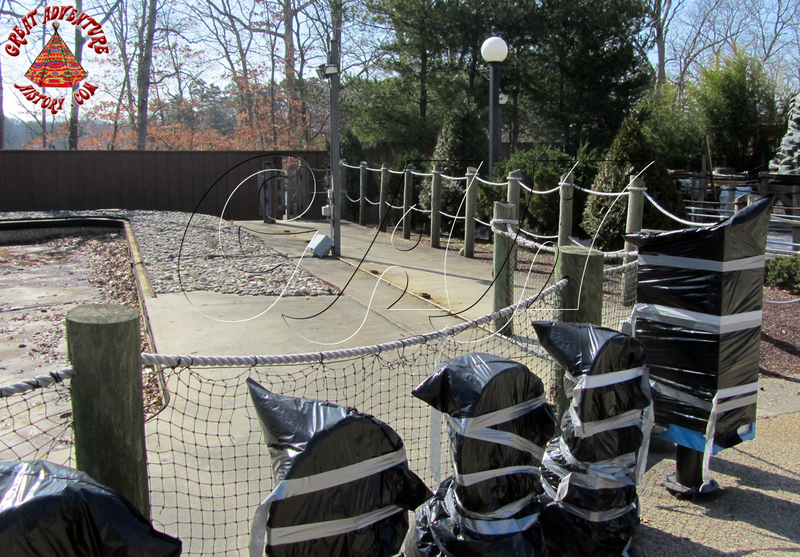 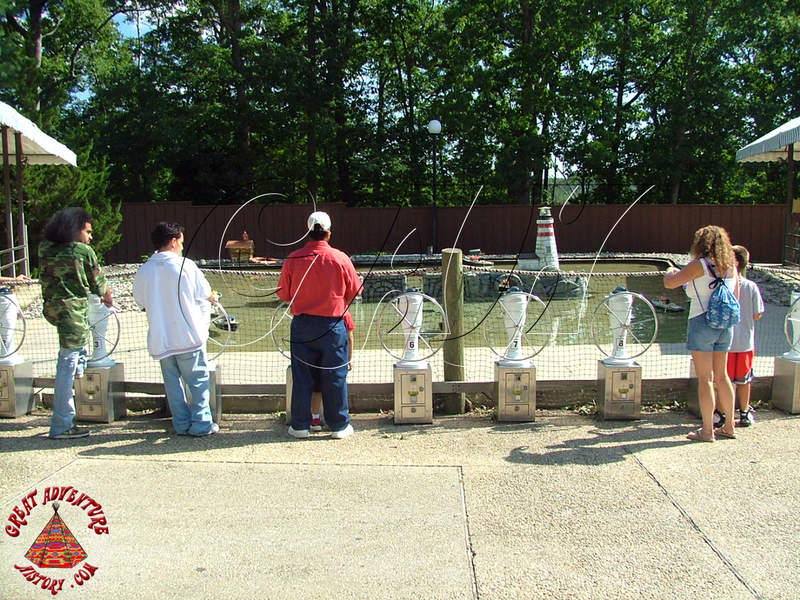 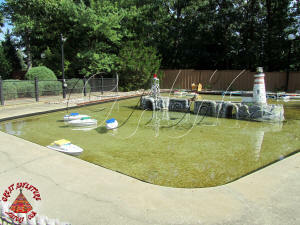 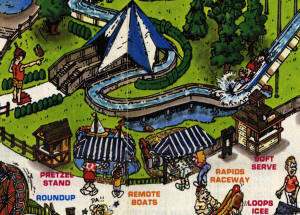 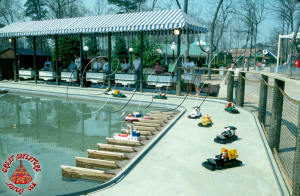 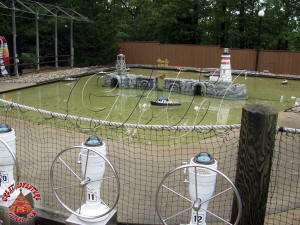 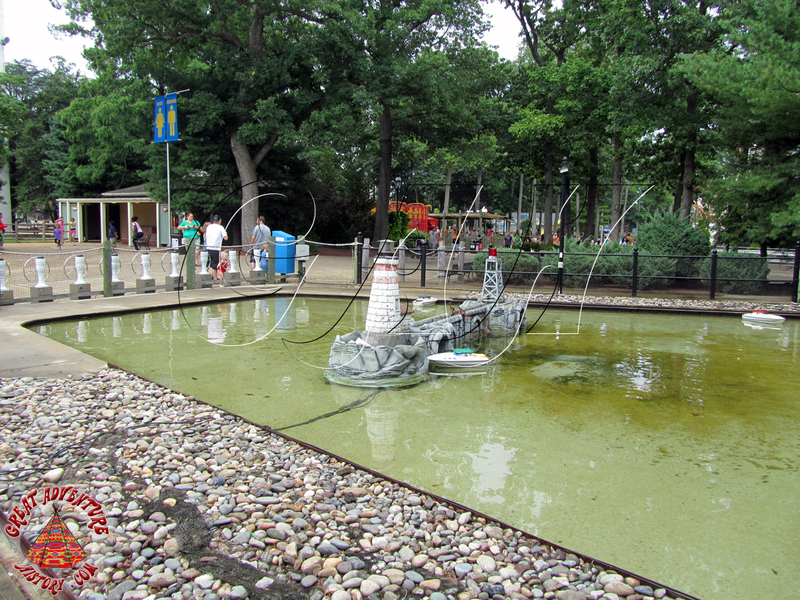 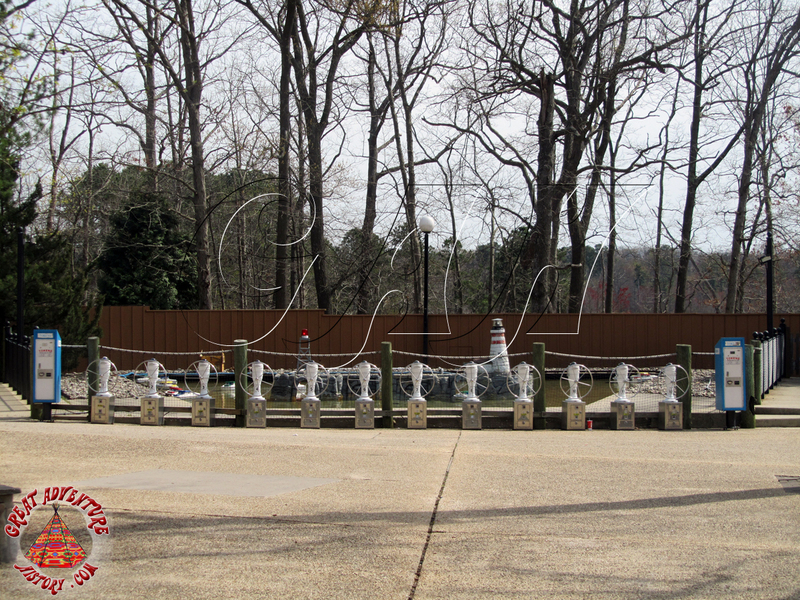 Eventually, all of the remote control cars portion of this games area was removed leaving only the boats, at which time the controls for the boats were relocated to the front side of the pond. 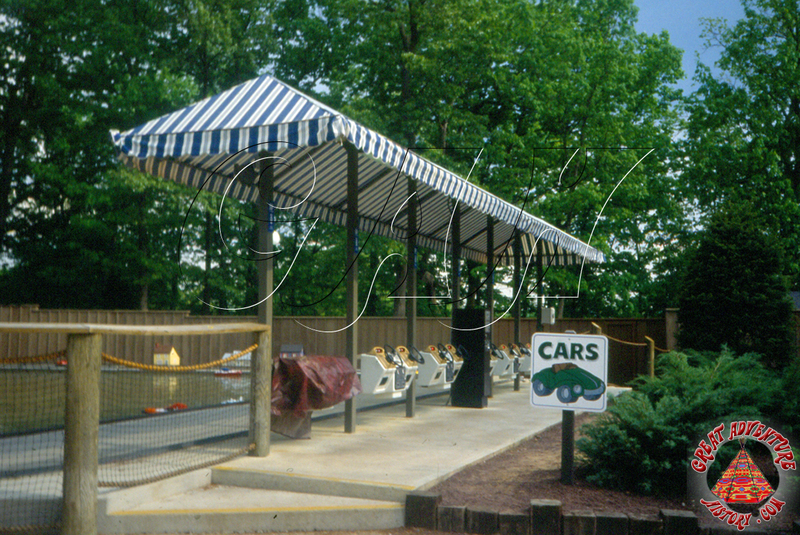 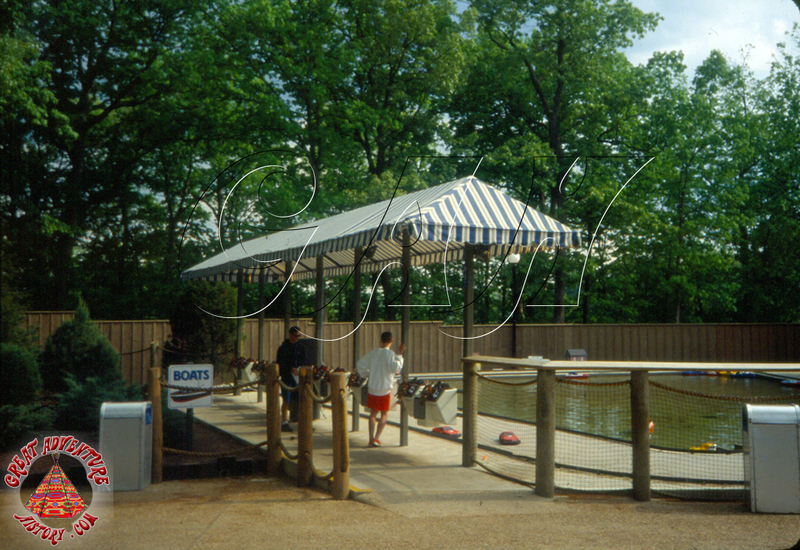 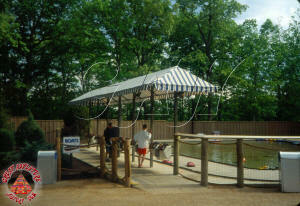 With the controls for the boats relocated to the front of the pond, the canopies on the sides where the controls had been located were no longer needed. 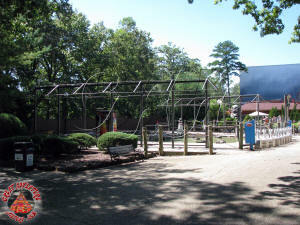 The fabric coverings were removed, leaving just the steel frames in place for a time. As those steel frames began to rust, they were cut off and replaced with sturdy fencing. 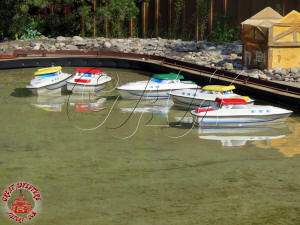 Over the seasons, the park's other remote control boats have been removed one by one leaving just the Lake Front Remote Boats. 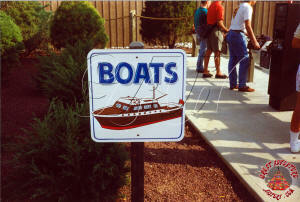 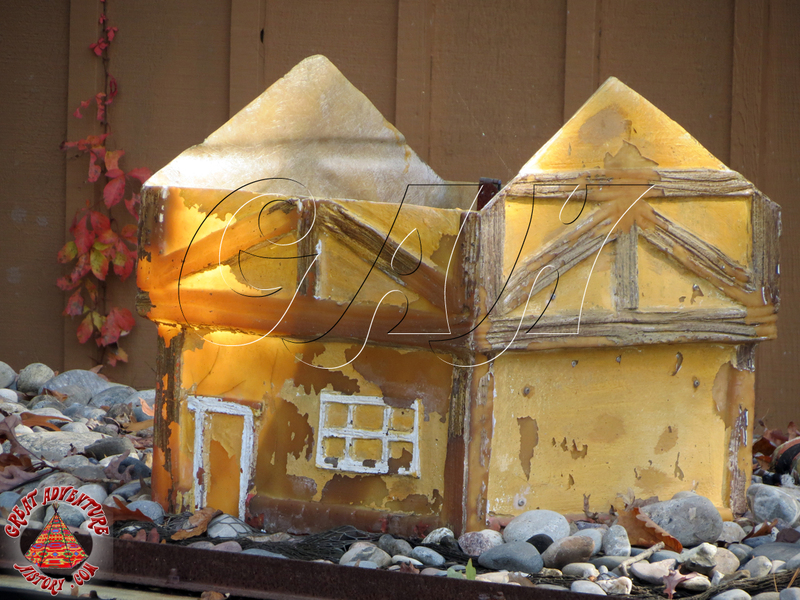 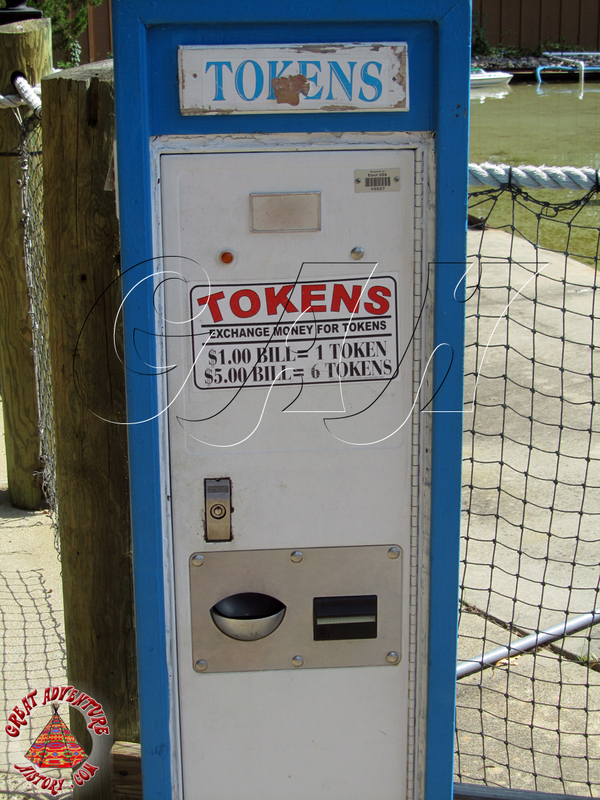 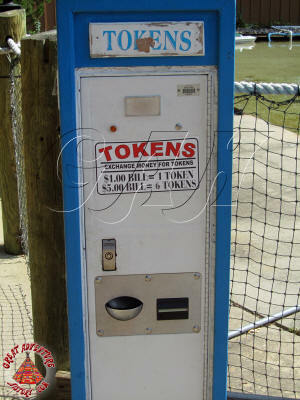 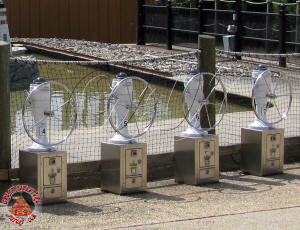 This low tech attraction seems to no longer have the appeal that it used to with previous generations. 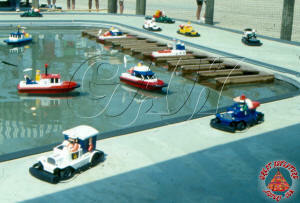 A smaller size crowd comes to play with the remote boats today, but they still appear to make money. 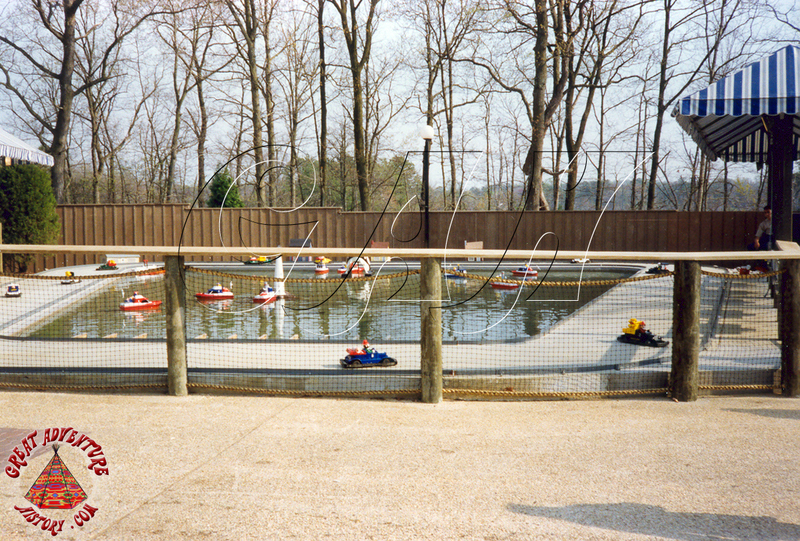 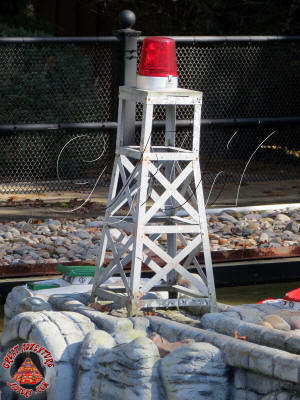 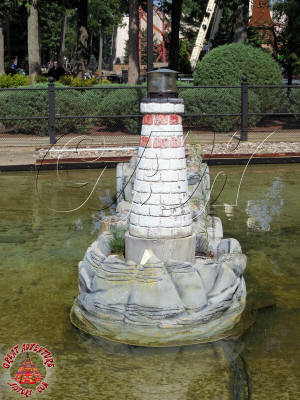 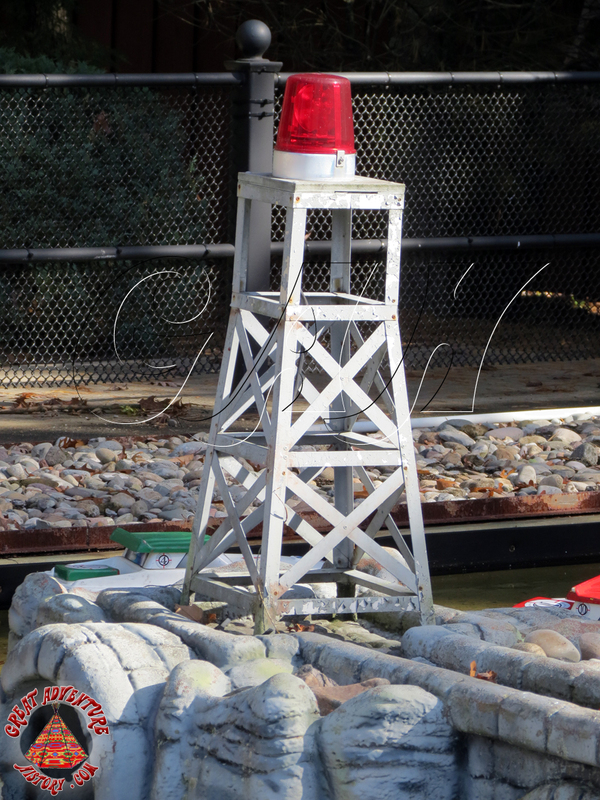 The fun of piloting miniature boats through a series of obstacles continues to be one of the more peaceful destractions in this "remote" area of the park.